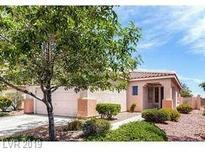 Below you can view all the homes for sale in the Rosewood subdivision located in Las Vegas Nevada. Listings in Rosewood are updated daily from data we receive from the Las Vegas multiple listing service. To learn more about any of these homes or to receive custom notifications when a new property is listed for sale in Rosewood, give us a call at 702-930-8014. 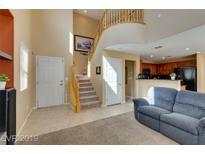 Spacious Floorplan Offers3 Bedroom/2.5 Baths, Open Living Room. MLS#2089773. RE/MAX Advantage. Located only a few minutes away from some of the best ranked schools and LV, Summerlin Hospital and beautiful Downtown Summerlin Mall! MLS#2088942. Vertex Realty & Property Manag. Great 1-story Townhome Conveniently Located Near Retail, Restaurants & Transportation*sparkling Community Pool*hoa Maintains The Exterior/Roof & Includes Water*townhome Features Tile Flooring Throughout*ceiling Fans*gas Fireplace In Living Room*kitchen Includes A Breakfast Bar*all Appliances Included*separate Master Suite With Walk-in Closet, Garden Tub & Separate Walk-in Shower*2-car Attached Garage*covered Patio*security Screen Door* MLS#2085550. LUXE International Realty. 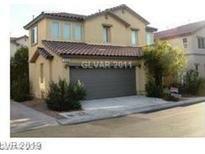 In Close Prox To Schools, Shopping Centers, And Dining Areas! MLS#2082476. Keller Williams Market Place. Carpet and laminate wood throughout. Relaxing and inviting colors. MLS#2082812. LVsweetHomes Realty. Cozy 4 bedroom 2 1/2 bath with a formal living room and dining room. MLS#2077460. BHHS Nevada Properties. Featuring beautiful wood floors and custom cabinetry this comfortable home sits on a large corner lot. It’s a must see! MLS#2076058. BHHS Nevada Properties. !kitchen Has Customized Cabinets Granite Tops Glass Tile Backsplash Black Appliances Deep Single Bowl Under-mount Sink*woodlook Tile Floors*lighted Ceiling Fans*brushed Nickel Fixtures*raised Panel Doors*new Carpet*baths W/New Toilets Vanities Sinks Granite & Brushed Nickel*nice Master*good Sized Secondary Bdrms*covered Patio & Community Pool! MLS#2074982. Elite Realty. You'll want to entertain in the open kitchen with breakfast bar next to the living area & a patio door to let the breeze in. MLS#2068534. Coldwell Banker Premier. 3 Bed 2ba Townhome, Open Airy Floorplan, Sunny Kitchen With Breakfast Bar, Kitchen Overlooks Living Room For Great Entertaining, Living Room Has Cozy Fireplace And Vaulted Ceilings, Shady Backyard With Covered Patio, Community Offers Pool And Separate Rv Parking MLS#2066528. Evolve Realty. *3 Bed 2 Bath*2 Car*gas Fireplace*travertine Flooring & Granite Counters In Kitchen & Bathrooms*pot Shelves Throughout* Vaulted Ceiling In Living Room* Ceiling Fans* Courtyard Entry* Covered Patio In The Back* Master Bedroom Features Large Walk-in Closet With Shelves* Pantry In Kitchen* French Doors On Secondary Bedroom* Water Softener Included* Community Pool. MLS#2066672. Evolve Realty. THE HOA pays for water and trash! PLEASE BRING ALL OFFERS! MLS#2064730. Realty ONE Group, Inc.
Across community pool! HOA includes water & trash* MLS#2062159. Realty ONE Group, Inc.
2 bedroom 1 bathroom condo with downstairs living area MLS#2056973. Realty ONE Group, Inc.
2 bedroom 1 bathroom condo with downstairs living space MLS#2056977. Realty ONE Group, Inc.